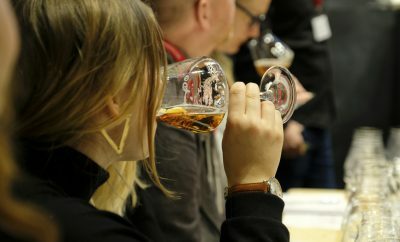 Purist and pretension both start with P. So does ProWein, although the three need not inherently go together. Plenty of ink has been spilled elsewhere on what WINE can be: a cultural treasure, a sublime component of haute cuisine, a fabulous investment. This article is concerned with something else: what a WINE CAN can be. Producers are increasingly grasping that wine needs to be made more approachable and inclusive if it is to engage a younger consumer base. The millennial generation, for example, is far more interested in convenience and coolness than conceit, opening the door to alternative marketing and packaging. A Nielson study from 2017 found that canned wine’s dollar growth rose by 54% in the 52 weeks ending Dec 30, 2017, the highest of any alternative wine packaging. Cans are indulgences of the here and now, and an appreciation of a muss-free lifestyle. No equipment needed: even the single size serving container is included. And in the Instagram era, cans are eye-catching as well. The case for cans thus seems pretty iron-clad. They’ve got convenience, portability, sustainability and coolness (tins are in, see: vintage sardines) all locked up. Although for many consumers it is counter-intuitive, the carbon footprint of cans is smaller than that of glass bottles. There’s more reasons to like them than not — save one. But it’s a big one: the narrative. Canned wine has long had a reputation more in line with gas station plonk than delicious al fresco bliss. Changing that narrative in the minds of consumers has proven at times a heavy lift. Ironically enough, the path to liberation arrived courtesy of wine’s step-sibling beer, and specifically: craft beer. While the history of beer is no shorter than wine’s, it is more steeped in tradition than ceremony and symbolism. That, taken together with the added bonus that it had not only precedent but also in many cases production lines already in place, meant that consumer resistance was minimal. As such, it was craft beer that paved the way for a new era in aluminum packaging, and the success of craft brews in cans helped shift public perception of cans as packaging for inferior quality beverages. Wine-in-cans has been around in Europe for decades, but it’s real renaissance began in the USA at the turn of the century. In 2003, California-based Coppola winery (Hall 9, Stand A 06) was the first American winery to launch wines in a can. They started with their Sofia Blanc de Blanc sparkling mini, in 187 ml aluminum. This single size serving, stemware included, hit big and was a game-changer. Oregon’s Union Wine Company (Hall 9, Stand D 08) continued to build on the approachability factor with the launch of their Oregon based winery in 2005. Founder Ryan Harms says he started Union in an effort to defy the concept that Oregon-made wines needed inherently be very pricey: “With cans, we embrace the artistry of making great wine, minus all the fuss.” In addition to straightforward labels, Union’s marketing has focused on poking fun at the empty ceremony and tired stereotypes surrounding wine. This lack of pretension and good fruit forward flavors have given them truly rock-solid footing in both on- and off-premise sales — a feat unheard of only twenty years ago. And they are often credited with being the first to make canned wines truly mainstream. Other countries are following suit with tasty affordable options springing up in Chile, California and even Australia. The other elephant in the room: taste. Here the news is mostly good, especially light, slightly sweet wines with plenty of spritz, e.g. Mosel Kabinett or Moscato d’Asti. Unsurprisingly, a quick review of the market leaders shows a frequent repetition of the words: fresh, crisp, clean. These are classic “terrassenwein,” aperitifs and sundowners. Or a current vintage feinherb for the beach where glass is not welcome. 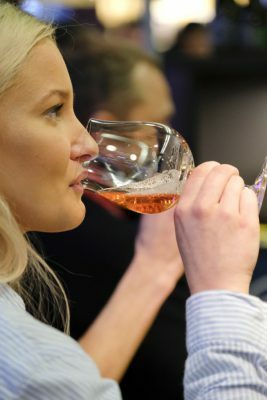 Whites and rosés in particular, cool climate, lower alcohol and maybe a slight refreshing effervescence. Cans generally provide a stable environment for 1-2 years. From a technical viewpoint there remain issues to be addressed regarding the stability of that sugar and the sterilization necessary to achieve stability. This problem is being worked upon, not least because hipsters don’t like products treated with food and beverage industry chemistry like dimethyl dicarbonate, aka E242. (Pasteurization is also unsuited for products like these because it caramelizes the aromas.) The ultimate take-way here is this: these are not wines for cellaring, these are wines for drinking. Of course, why just take our word for it? 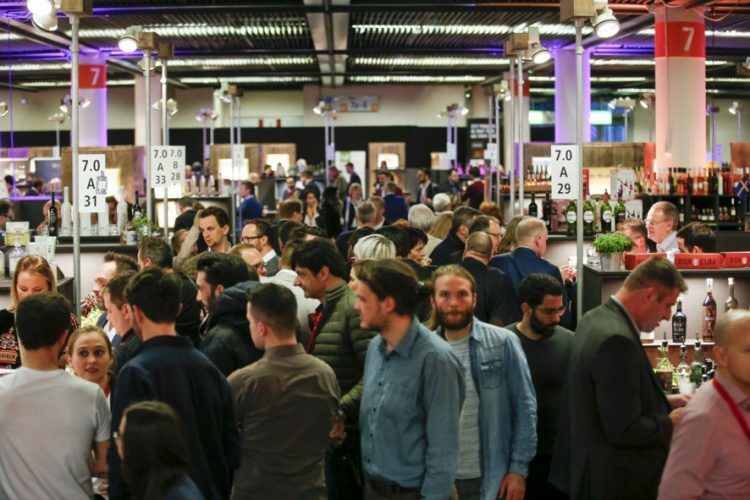 Attendees to our ProWein Forum (17 & 18 March at 6:00 pm) will have the opportunity to test some of these products for themselves. It should also be said that the anaerobic atmosphere of canned wines means that some wines certainly fare or show better than others. Red wines, for example, often prefer a bit of oxidation, not to mention a little age, so in these humble authors’ opinions: save your aged Rioja for the dinner table, and opt instead for a can of fresh white, rosé or light young red al fresco. The packaging should also match the content. Antiquated labels with gothic script embossed in gold are going to fail unless they are heavy on irony. Whimsy and clarity are on the other hand just what the Sommelier ordered, reinforcing rather than contradicting the character of what is inside. Just as when we smell a wine, we form expectations based on what we smell. Here the eye is serving the same function as the nose. To be clear, we’re not suggesting bottling Chateau Lafite Rothschild in 250 ml aluminum cans (the most common size) or investing in 6 packs of Montrachet for your wine cellar. That is and remains the realm of bottles. But as with so much of life, there’s a time and a place. Rather than demonizing cans (or tetrapaks or kegs), accept them for what they are: effective and ecologically sound packaging. As we teach our kids, what matters is what’s inside. And these days, the wine inside the can is often downright delicio.